Check out Tobi's Clarissa Rhinestone Hoop Earrings Give your oversized gold hoop earrings a new twist with a dash of rose gold instead this fall. The Rose Gold Clarissa Rhinestone Hoop Earrings feature oversized circles, with a long, dangling rhinestone chain for extra sparkle. Pair these statement earrings with a bodycon dress for a killer holiday party look. Give your oversized gold hoop earrings a new twist with a dash of rose gold instead this fall. The Rose Gold Clarissa Rhinestone Hoop Earrings feature oversized circles, with a long, dangling rhinestone chain for extra sparkle. 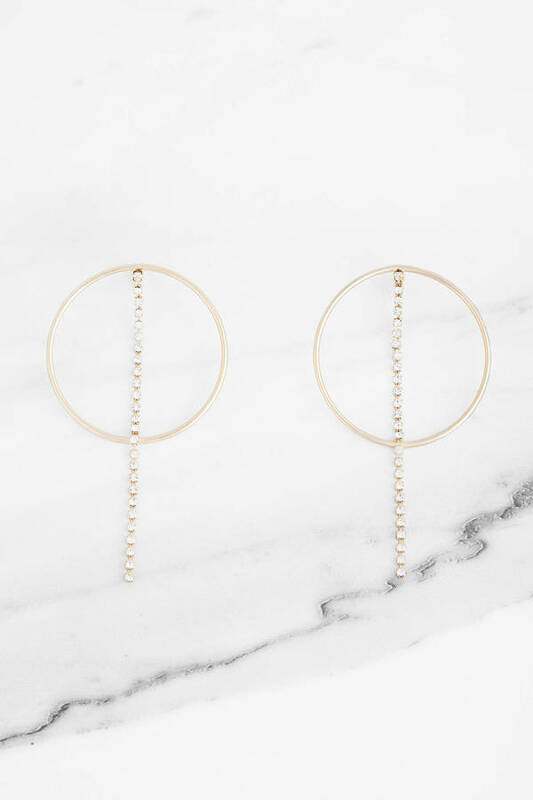 Pair these statement earrings with a bodycon dress for a killer holiday party look.